George Huntington (April 9, 1850 – March 3, 1916) was an American physician from Long Island, New York who contributed the clinical description of the disease that bears his name — Huntington’s disease. Dr. Huntington wrote his paper “On Chorea” when he was 22 years old, a year after receiving his medical degree from Columbia University in New York. 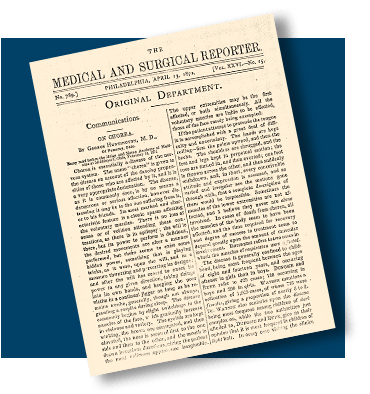 “On Chorea”was first published in the Medical and Surgical Reporter of Philadelphia on April 13, 1872. In the 100+ years since the death of George Huntington in 1916, the disorder he described as a ‘medical curiosity’ has become a focus of intense medical and scientific interest, in part because of the contribution of families in generating knowledge about this family disease. As many writers have noted, George Huntington’s own family played a crucial role in defining this illness. What has been less appreciated is that the affected families he described also played a role, in ways that George Huntington himself acknowledged. Not quite 22 years old, just graduated from Columbia University’s College of Physicians and Surgeons in New York City, and with little clinical experience, no established medical practice, and no patients of his own with the disorder, he wrote an account in 1872 that William Osler considered one of the most succinct and accurate portraits of a disease ever written. It was not the earliest medical account of hereditary chorea but it was certainly the most complete. And for social and cultural as well as medical and scientific reasons, it played a far more important role in defining the discrete clinical entity that soon came to be known as ‘Huntington’s chorea’ and by the late 1960s, as ‘Huntington’s disease’. Despite considerable recognition during his lifetime, George Huntington remained a small town family physician but not a provincial or isolated one. He was aware that his paper had drawn the attention of the medical profession at home and abroad and that this had helped reveal the disease in many parts of the world. 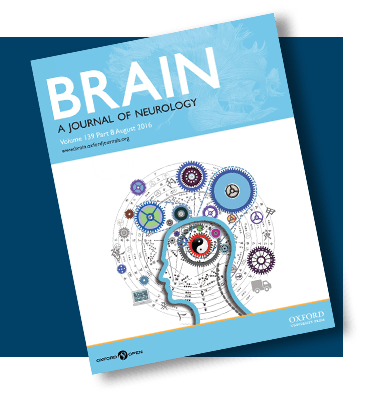 He was in touch with some eminent clinicians of his day, including Osler, and an invited speaker on Huntington’s chorea at medical societies such as the influential New York Neurological Society. At a time when medicine was becoming increasingly ‘scientific’, he too placed his hope in research, although he chose not to pursue research himself. Alluding to the unknown pathology of chorea, which had intrigued him from the start, he trusted ‘that science, which has accomplished such wonders through the never-tiring devotion of its votaries, may yet “overturn and overturn, and overturn it,” until it is laid open to the light of day’. Medical and Surgical Reporter of Philadelphia on April 13, 1872.